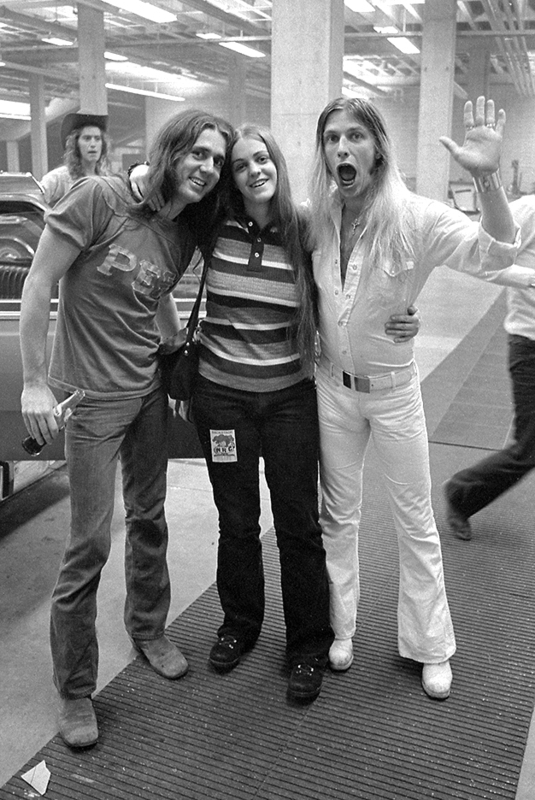 Celebrating the birthday of Black Oak Arkansas's guitarist, Stanley "Goober" Knight. Unfortunately, he passed away three years ago next week. While he doesn't have a full section of my book, Everybody I Shot Is Dead, the backstage band photograph below is one of the photos on the dedication page for Vancouver's Warner Bros record rep, Mark Wilson. Yes, that's me in a photo with Stanley Knight and Jim Dandy. I never ever asked any bands or musicians to take a photo with me - I didn't like being in front of the camera and I didn't want anyone to mistake me as a groupie. But in this case, the whole band was so nice and we were goofing around backstage. Then after the posed shots for the record company they asked to take a picture with me. I'm really glad I have it. Click on Everybody I Shot Is Dead to purchase my book.